It was my birthday on Thursday. A close family friend of mine had breast cancer twenty years ago, beat it, and now says she gets really excited about birthdays. Like when she was a kid. And it's true - what better day to just count your blessings and see how good you've got it. For example, I have a stack of cards and emails from friends all over the country and got phone calls from a few, too. How cool is that? All these people taking time to let me know they love me. And meanwhile, I'm probably sitting on the sofa watching Sponge Bob or something. Then I stop at a bakery on the way to work and I'm chatting with the baker dude and he gives me this huge brownie/coconuty/graham crackery thing for free since it's my birthday. He didn't need to do that. He's just nice for no particular reason. I love that! 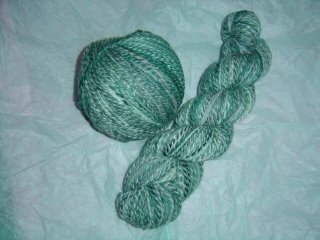 Okay, so not only did they get me three skeins of gorgeous, soft, delectable yarn, but it was all so thoughtfully chosen I almost wanted to cry. 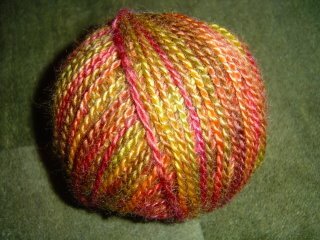 NeuroKnitter got the red/orange/green skein in Virginia at a yarn show months ago! She brought it back 2000+ miles just for me! (And more impressively didn't keep it for herself!) It is from Kid Hollow Farm and is 50/50 wool and mohair in the "Autumn Leaves" colorway. And that is the perfect name for the deep, brilliant colors. Seriously, you cannot imagine how luxurious this stuff is. 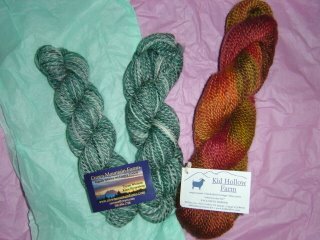 Plus, she remembered that months before that I had been mooning over some yarn at a local store that was these colors. How sweet is that? I don't have a ball winder, but I still went straight home and wound it up by hand. And loved every second! What wonderful yarn! What wonderful gifts! Thank you thank you thank you! I love it!!! After work, I went for drinks with my hubby, some other friends and my pooch. Then we walked around the Last Thursday art fair. I got to check out the new yarn store there, and found a pair of needles I've been searching all over town for. What a great day! 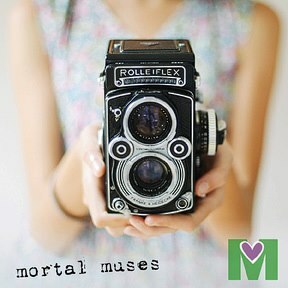 I am not usually a sappy sentimental person (perhaps more sarcastic and cynical? ), but I truly felt lucky beyond all belief today to be surrounded by such wonderful family and friends. As my friend who is ecstatic to be getting mail from AARP taught me, birthdays are about celebrating all that you have and all that is in front of you, not about how many years are behind you. Thanks to all of you. Plus, 26 is way cooler than 25. 25 is sooo last year. Sounds like you had such a great time on your birthday! You didn't tell us about the huge brownie/coconuty/graham crackery thing - that sounds to die for! Happy Happy Happy Birthday! I'm horribly late . . .but happy birthday! Happy birthday! I always make a big fuss about my birthday too. I think it's important to get together with friends and family and do something memorable. 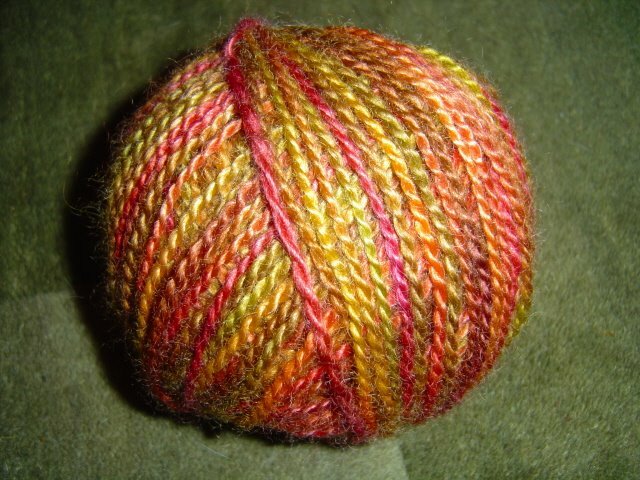 The sock hop yarn is gorgeous! Can't wait to see it knitted up. oh, emily - hope you had a super-fantastic birthday! you old hag, you!@!!! !